This teaching was given at a Chicago Christian Conference where Don introduces the subject of Discipleship Evangelism, how it started, how it was developed and some of the fruit seen with one-on-one ministry. The Lord never told us to make converts. He called us to make disciples. It is not true that some people are called just to have their sins forgiven and others to become disciples. Being a disciple is God's plan for every Christian. There is only one instance in all the New Testament where believers are called Christians. "Disciple" or "disciples," used 569 times in the New Testament, are the names attached to those who truly believed in Jesus. The Lord intended for us to produce disciples. 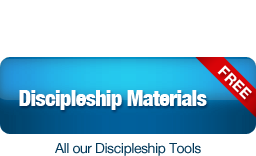 You may download the Discipleship Evangelism program free on this website or purchase by calling 719-635-1111. The Christian life does not consist of becoming stronger and stronger, but rather becoming weaker and weaker, to the point of never relying upon our own resources again. God has not made provision for changing our life, but rather for exchanging His life for our weakness. This teaching contains some of the most important truths about living the Christian life that you will ever discover. This teaching defines the word "kingdom" and establishes that there is a spiritual kingdom which opposes the kingdom of God. Don expounds on the characteristics of this opposing kingdom and it's effects on the world. Many denominational churches are re-evaluating the message being preached from the pulpit. Don examines how the message of the kingdom is effecting the modern day church. The kingdom of God is the central theme of the Bible. This teaching reveals the message of the kingdom of God as the unifying factor of the Old and New Testament. The kingdom of God is the central theme of the Bible. This teaching continues to reveal the message of the kingdom of God as the unifying factor of the Old and New Testament. Most believers today do not have a complete understanding of the many titles of Jesus. This study defines words such as Messiah, Christ and Lord and reveals that these titles can be fully understood only within the context of the kingdom. Is Salvation synonymous with the kingdom of God? Is the kingdom now or in the future? Don takes us through the scriptures in order to answer these questions and deepen and solidify our understanding of the many facets of the kingdom of God. The message of the kingdom of God is the only teaching that brings justification and sanctification together. As believers, we have a responsibility to respond to this revelation. Don explains what should be the proper response to the kingdom message. The Scriptures teach us to follow after love, to eagerly pursue after love, to make it our highest aim. But what is love? A warm feeling? A warm affection? Or something more? Most of us in the church today say I love you, but we do not demonstrate and prove our love with our actions. 1 John 3:18 says "...let us not love in word, neither in tongue; but in deed and in truth." How can we live this out, in a practical way, that will allow God to show His love to others through us? 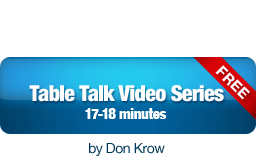 A tender message from Don Krow's heart about something very close to God's heart: marriage. It was God who first noticed something lacking in His perfect creation; Adam needed a helper. When the Pharisees came to Jesus with a trick question about divorce, Jesus reminded them that marriage was God's idea, not man's. God designed marriage and gave it purpose and meaning. God's original design for marriage was for the closest union between two people that's possible; described as the two becoming one. In His word, God actually talks about three kinds of marriage: marriage between a man and a woman, our marriage to Him and our marriage to the Law. As Don explains, the marriage relationship has spiritual counterparts. Everything we can say about a good marriage, one that's all God designed it to be, is a model of what our relationship with God should be. This teaching offers meaningful insights into the dynamics of the marriage union and principles of love that can strengthen and bring hope to any marriage. A primer on relationships; its message about our union with God and love for one another is crucial for those who are single or married. Do You Want a New Testament Church? Everyone has a gift and function in Christ church. The church is the coming together to express Christ in His fulness by His body, through His Spirit and His gifts. God gives us grace and faith for us to minister to others. The goal is the church's edification. God has always been in the people business. His heart has always been for the poor, the widows and the ministry. This teaching brings the balance back, and re-examines the Scriptures and our practices. Don relates a time when the Krow family was struggling financially, but God met their needs time and time again. It was not because they sought God's blessings, but out of love they sought to be a blessing to others. Recorded in 1991 in Manitou Springs, Colorado. We have all been hurt and have experienced rejection at one point in our lives. Rejection and our response to those that have hurt us can have a big impact on our lives for years to come. The vital power of forgiveness cannot be understated. Don gave this teaching while pastoring a small church in Oklahoma for a short time in the late 80's and shares some personal stories from his own life. Years later this teaching still conveys the powerful and necessary role of forgiveness in our lives. In Matthew 18 Peter asks Jesus "Lord, how often shall my brother sin against me, and I forgive him? Up to seven times?" Jesus responds "I do not say to you, up to seven times, but up to seventy times seven." He then goes on to tell the parable of the unforgiving servant who refused to forgive even after a great debt had been forgiven of him. Even though so many of us are aware of the power and necessity of walking in forgiveness, how many times do we say with our mouth we forgive, but inside we pick up the offense and struggle to truly forgive from the heart? Have you noticed that some Bibles do not contain all the verses of Scripture that other translations have? As many as 5,337 deletions have been found in some Bibles. How do we explain this contradiction? Today we have many translations that help us understand God's Word. Now here's a deep thought - Instead of studying a book about THE BOOK (the Bible), why not use the Bible itself. Acts 26:1-29. Who was Paul? How did he become a Christian? When and how did he receive forgiveness of his sins? What was the message that he preached? What was his commission from Jesus Christ? Paul an apostle (Rom. 1:1). What is an apostle? How many apostles are in the New Testament? Although there were only 12 apostles of the Lamb, there are many apostles mentioned in the New Testament who are not the 12. Christ continued to give apostles to His church even after His death and resurrection (Eph. 4:8-11). Jesus was declared to be the Son of God with power... by the resurrection from the dead (Rom. 1:4). Who was Jesus Christ? What kind of Messiah were the Jews looking for? What made Jesus' resurrection different than others who were raised to life? 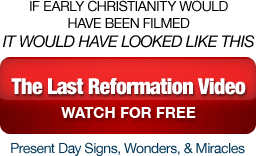 Why is the resurrection the Christians hope? Paul stated to the Roman church that he longed to see them so that he may impart to them some spiritual gift (Rom. 1:11). What are spiritual gifts? Have they passed away? How are they imparted? What was the desired effect of an imparted spiritual gift? What kind of gifts does God give to followers of Jesus? A powerful Bible study that explains Jesus message to humanity and what we must do to respond to His message. You may be surprised. This may be thought of as past, present and future aspects of salvation. Justification, sanctification, and glorification. See what salvation entails for those who are waiting for His return. How are we led by the Spirit? How do we evangelize and make disciples? Is praying in the Spirit important? Should we fast? How do we get free from legalism? It's all Jesus. Discover all of this and more in this teaching! We are so accustomed to hearing the phrases, "Ask Jesus into your heart," "Ask Jesus to be your personal Savior," "Repeat this prayer after me," etc., that we have forgotten to check these statements out with the Scriptures. What did the early New Testament church really teach and how did people respond? See for yourself in this teaching and then compare it with the Scripture and forsake your traditions. Does God make a choice for us to be saved? What about human free will? Why are there so many different churches? Do we really honor the Scriptures? You decide as you listen to this instruction from Romans 9. I know that it is hard for some of you to receive what I am about to say, but I believe that one of the greatest concerns of the early church and of the church today is that of "apostasy." "Apostasy" is "the abandonment of a former loyalty to Christ." Balaam turned the people of God to idols (Rev. 2:14). Jezebel turned the people of God to sexual immorality (Rev. 2:20). The Nicolaitans turned the people of God to self-indulgence and idolatry (Rev. 2:15). In Galatians the Judaizers turned people from Christ back to the law as a means of their salvation (Gal. 5:4). In Hebrews the people of God were turned from Christ back to Judaism (Heb. 2:1). I believe we are talking about a major theme in the New Testament. The opening words, The revelation of Jesus Christ, indicate the subject of the entire book. The word "revelation" is a translation of the Greek apokalypsis, meaning "an unveiling" or "a disclosure." The phrase revelation of Jesus Christ can mean (1) by or from Jesus Christ, (2) about Jesus Christ or (3) both. The revelation was given to John to communicate to others, His servants, and it prophesies what must soon take place. This greeting - like Paul's salutations in his epistles and the salutation of John himself in 2 John - specifies the book's destination. The recipients of this message were the seven churches in the Roman province of Asia in Asia Minor (Rev 1:11; chaps. 2 and 3). The salutation describes the One Who is, and Who was, and Who is to come. Hearing the voice behind him, John turned...to see the voice. This is what the Greek text says, but it is clear that the meaning is "to see the person" or "to see who was speaking to me." Among the lamp stands (the seven churches) John saw Someone "like a Son of Man," (someone with a human appearance) an expression used in Dan 7:13 to refer to the glorified Christ. Just as Paul's epistles, although addressed to individual churches, are intended for the entire church, so these seven messages also apply to the entire church today insofar as they are in similar situations. This portion of Scripture has been strangely neglected. While many turn to the epistles of Paul and other portions of the New Testament for church truth, often the letters to these seven churches, though coming from Christ Himself, are completely ignored. This neglect has contributed to churches today not conforming to the perfect will of God. Christ described Himself as the First and the Last, who died and came to life again. Christ is portrayed as the eternal One who suffered death at the hands of His persecutors and then was resurrected from the grave. These aspects of Christ were especially relevant to the Christians at Smyrna who, like Christ in His death, were experiencing severe persecution. While the Christians of the church at Smyrna were experiencing the bitterness of suffering, their faithful testimony was like myrrh or sweet perfume to God. Christ recognized the difficulty of their situation. They lived where Satan has his throne. Some Christians at Pergamos had been true to God under severe testing but others had compromised. Though much was wrong in the church at Thyatira, believers there were commended for their works...love...faith...service, and perseverance. But despite these evidences of Christian life and testimony, the church at Thyatira had serious problems. The only word of approval is in actuality a word of rebuke as Christ declared that they had a reputation for being alive and apparently were regarded by their contemporaries as a very alive and effective church. Christ quickly stripped away their reputation of being alive by declaring, you are dead. Like the Pharisees, their outer appearance was a facade hiding their lack of life (cf. Matt 23:27-28). There is no word of rebuke for the Philadelphia church, though Christ said, I know that you have little strength. These words, however, become a basis for Christ praise that you have kept My word and have not denied My name. Despite their lack of strength, the Philadelphia Christians have been faithful to Christ, They have followed His teachings, they have obeyed His commands, they have been faithful to His message, they have been obedient to His instructions and have not denied His Name. No word of praise was extended to the Laodicean church. They were pictured as utterly abhorrent to Christ because they were lukewarm. This was addressed to the church and also to the messenger or the pastor. In referring to the church as "lukewarm" Christ had in mind that this was its permanent situation. There is nothing more disgusting than a halfhearted, in-name-only Christian. The scene continues from the last chapter. God is seated on his throne and holds in his right hand a sealed scroll. John then sees a lamb that goes and takes the scroll from God. This is an event that provokes praise and worship from the four living creatures, the twenty-four elders, countless millions of angelic beings, and all living creatures in the universe. Does the church go through the Tribulation? What are Jesus' words for the church today? A comparison is given between Revelation 6 (the seals of God's wrath) and Matthew 24. This is an exhortation for all of us. those of all nations who, though saved spiritually, are martyred (Rev. 7:9-17). Chapter 7 is a parenthesis between the sixth and seventh seals (Rev. 8:1), revealing those who are faithful to Christ during this tribulation time. The opening of the seventh seal is a most important event, confirmed by the fact that there was silence in heaven for about half an hour after it was opened. The contents of the seven trumpets are different from the seven seals. The seventh seal is important because it actually includes all the events from Rev. 8:1 through Rev. 19:10. The star was given the key to the shaft of the Abyss. Satan or this demonic angel was given a key to the shaft of the Abyss or the bottomless pit. The Abyss or bottomless pit is a place in the depths of the earth where evil spirits were thought to be imprisoned (Luke 8:31). Satan then is pictured as opening the lid or the door (that can be closed or locked) to this Abyss, so that demons can be released to inflict men and women on the earth. This angel is pictured as robed in a cloud, having a rainbow above his head, his face brilliant with glory like the sun, and with his legs... like fiery pillars. John added that the angel held a little scroll and stood with his right foot on the sea and his left foot on the land. At the same time he shouted like the roar of a lion. The scene is certainly one to inspire awe, and when this angel shouted, the voices of the seven thunders spoke. John was forbidden to record what the seven thunders said. Someone in heaven said, "Don't write what you heard; do not reveal or tell it." While Revelation is primarily designed to reveal and not to conceal God's purpose and future events, some revelation was kept hidden as illustrated by God's prohibiting John to write what "the voices" of the seven thunders said. An amazing variation of interpretations of this portion of Scripture have been offered. Some say this chapter is one of the most difficult in the whole book of Revelation. The best guideline to follow in interpreting this section is to take each fact literally. In line with this principle there will be a literal temple. The city should be considered the literal city Jerusalem. The time periods of 42 months (v. 2) and three and one-half days (vv. 9,11) again should be considered literally. The earthquake will kill literally 7,000 individuals, and the two witnesses should be considered as two individual men. Do you have the foundation of Christ's teachings? What fruit should we look for? What is the "Day of the Lord"? In this teaching we look at the big picture that unifies the Bible. In this teaching you may be surprised that the Apostle Paul (the great teacher of grace) is witnessing in several instances and speaking of the need of righteousness, temperance, and a judgment to come. He also asked for fruit that shows repentance. Strange to the ears of those who proclaim a modern gospel. God calls people into His Kingdom in this present evil age. Yet the Kingdom of God belongs to the Age to Come and will be realized only in its fullness in that age. Don Krow gives a little background of Charis Bible College and his relationship with Andrew Wommack. See how God moves you in your calling as you follow Him and His Word. The unifying message of the whole Bible is the teaching of the Kingdom of God. In this teaching we examine this subject that is greatly misunderstood or ignored.